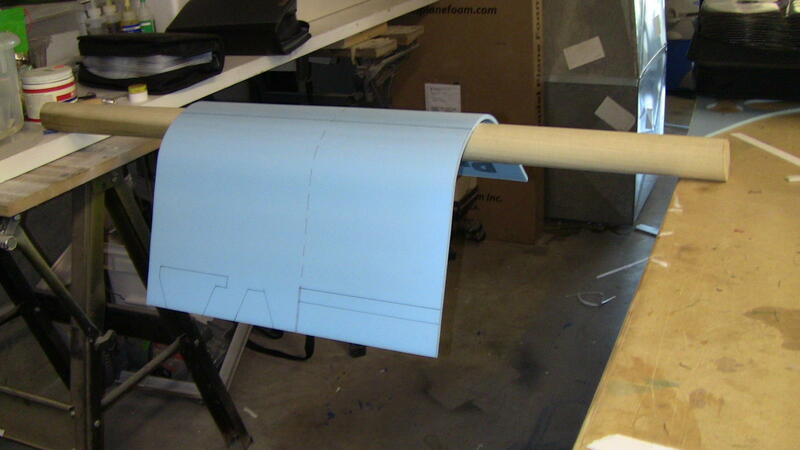 I was curious if anyone had any ways to get a cylindrical fuselage made out of foam board. I'm sure I could make a ton of score lines and get a pretty close shape but has anyone gotten a good shape without making a bunch of cuts? My reasoning behind this is i'd like to take a stab at a swappable airliner. Most likely a prop driven aircraft (edf's are speedy and wouldn't be too scale.) A Dash-8 or an ATR-72 or something. As school is about to start, I probably won't get much work done till Christmas break or over summer. 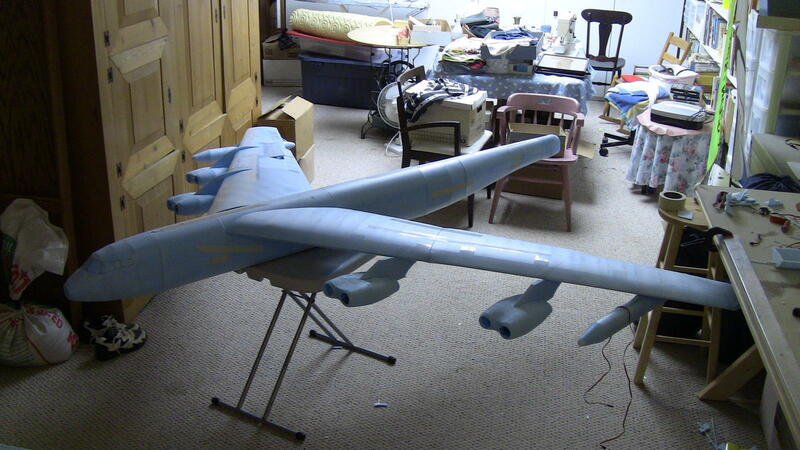 Here is an article I posted about a B17ish scratch build I did. The fuse isn't prefectly round but might make for a good airliner type plane. You could always a few more score cuts than we did to get rounded off more. Not foamboard but Dollar Tree has some great plastic baseball bats that make a good fuse. The Short Fat one makes a KILLER GeeBee! If foamboard specifically is not a requirement, why not try shrinking a bottle (or something else made of PET) to a round mould? Shrinking gives it the required strength as it grows thicker. earthsciteach had a fun video on that a while back. You could also paint its inside and I bet it'll look great. Awesome tip! That 747 looks absolutely phenomenal! Welcome to our side of the web and if I may; I LOVE your famous bowls! lol, I completely forgot that I signed up. Well, you're certainly welcome to post whenever you want to. I really enjoy seeing what you come up with. Heck, I'd just be happy with a BUFF! That's awesome KFC! A favorte airframe for me, and one of my dream builds. How are you planning on powering it? This is just the prototype, so I'll probably use an e-flite power 10 outrunner and a 11 or 12 inch prop mounted on the back end. I'll probably load up a 3s 5,000mah lipo on the front end for ballast as much as anything else. This is really just a quick-and-dirty-let's-see-if-it-will-fly kind of build. That 747 is just astounding. I really feel like having just 2 motors gives it the right speed. Just wow.